"This is a quick, easy and very flavorful recipe. I've made it many times. 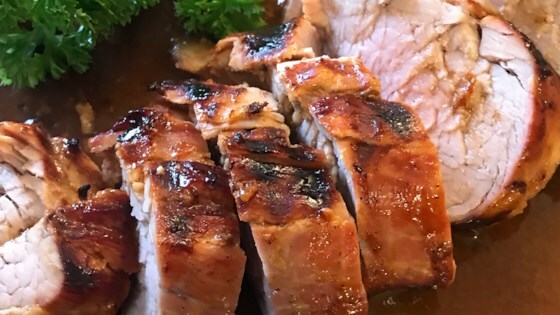 Plan ahead because the pork needs to marinate." Very delicious and easy. Marinated overnight and also saved the marinade and made into a wonderful gravy. Made it in winter so baked at 425 for 35 minutes in oven. I prepared this recipe on Sunday for my husband, son (a toddler) and my 95 yrs old grandmother) and everyone loved it! This recipe is definite 'keeper'.